I'm a magazine addict and there is nothing I like better than to browse through vintage magazines on Paper Pursuits. 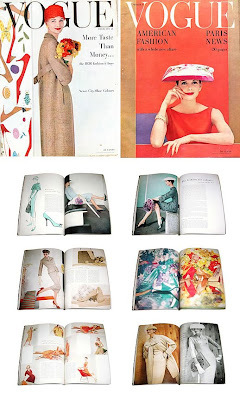 The site has tons of images from fashion magazines like Vogue and Harper's Bazaar (I especially love the issues from the 1950s), interior design magazines (be sure to check out House Beautiful and House & Garden), old advertisements, and even sewing patterns. 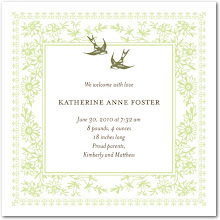 These publications are a wonderful source of interesting colorways, graphics and period details. 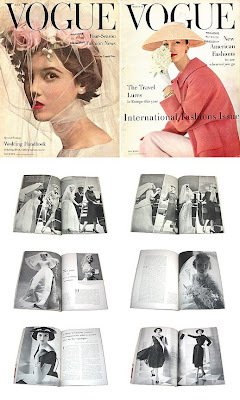 Many of the fashion magazines also produced special bridal issues that have gorgeous photos of gowns, veils and bouquets - who knows, maybe it will inspire you to add a vintage touch to your own ensemble! 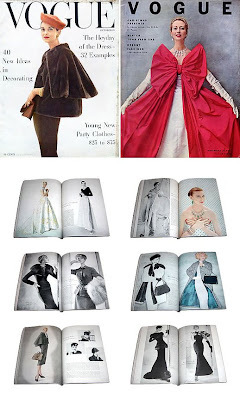 All the images of vintage Vogue magazines are from Paper Pursuits. From top left: February 1956; March 1956; February 1956 (interior); July 1956; March 15, 1956; July 1956 (interior); October 15 1955, November 15 1955, October 1955 (interior).